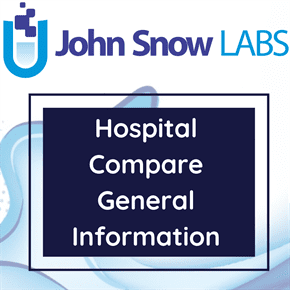 This dataset contains information about clinics in England. National Health Service (NHS) Choices considers clinics as locations that provide predominantly outpatient services. It includes information about organization and postcodes, telephone number and email address for several clinics organizations in England. This dataset contains address details and contact information. Clinics are sourced from Organization Data Service (ODS), which is part of the Health & Social Care Information Centre (HSCIC). NHS Choices has provided the functionality that allows hospitals to access their profiles using our Provider Information Management System (PIMS) to update the information we hold about them. Clinics, or their parent organizations that have taken up this privilege, are able to add relevant information on their respective profiles. Clinics in England were intended to offer a greater range of services compared to those offered by the current general practitioner (GP) practices and local health centres. In addition to traditional GP services, they would offer extended urgent care, healthy living services, community mental health services and social care, whilst being more accessible and less medicalized than hospitals. A variety of models were proposed, ranging from networks of existing clinics to larger premises with several co-located GP practices, more extensive facilities and additional services provided by allied healthcare professionals.